Humanity’s biggest challenges call for organised collective action, informed by the most complex forms of thinking. Different forms of knowledge and practices of knowing operate at different levels of organisation within society. Scientific knowledge is one form of knowing, but the development of science under a culture of disciplinisation and increasing specialisation has led to its fragmentation and blinded it to the possibilities offered by the integration of knowledge. Interdisciplinarity and transdisciplinarity are privileged routes for rich knowledge construction and integration. There is a pressing need for efforts directed toward the intentional construction of a culture where interdisciplinary and transdisciplinary practices may flourish. However, we believe significant change will only occur through the orchestration of a set of activities that attend to the complexity of knowledge construction and integration as emergent outcomes of a complex network of processes and relations that constitute an evolving inter and transdisciplinary ecosystem. In this paper we present a proposal for the organisation of an Alliance for Knowledge Integration and of Inter/Transdisciplinary Hubs aimed at coordinating collaborative actions and contributions from a diversity of agents and systems from different levels of organisation of society towards richer and more integrated practices of knowing. 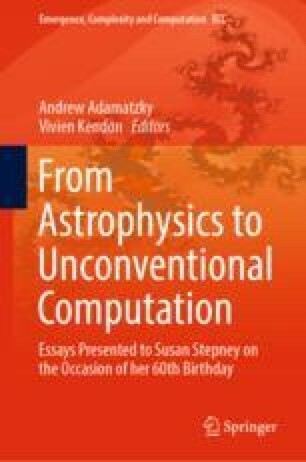 The authors wish to thank Prof. Susan Stepney, from the York Cross-Disciplinary Centre for Systems Analysis of the University of York for the many enriching and stimulating conversations that have supported us and provided the motivation for the development of the ideas presented in this paper. The first author was funded by FCT—Fundação para a Ciência e Tecnologia, Portugal (REF DL57/2016/CP1341/CT0011).